1. 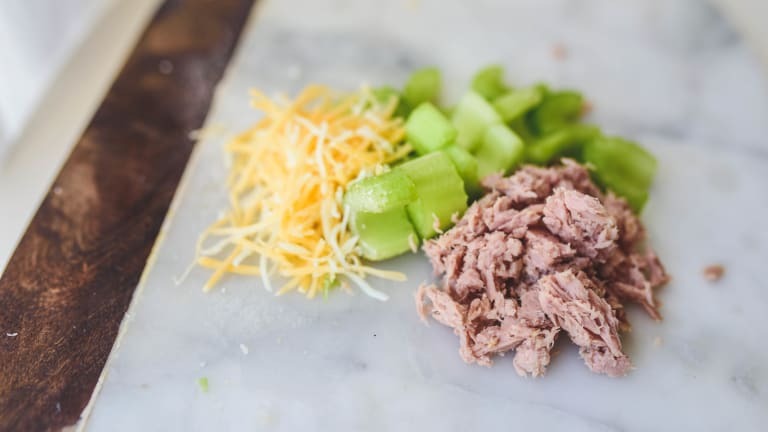 In a large bowl, mix together tuna, celery, red pepper, green onion, brown mustard, mayonnaise, white wine vinegar, and salt and pepper. 2. For the sandwiches: Butter one side of 8 bread slices. Place 4 slices of bread (butter side down) on a griddle pan or skillet on medium heat and top with tuna salad and desired amount of cheese. 3. Place other slices of bread (butter side up) on top. Flip when bottom side is golden brown and cook until the second side is golden brown as well.